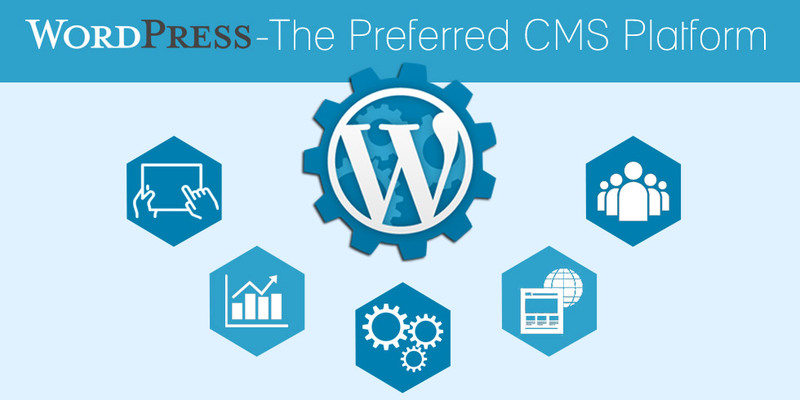 Why SMBs Prefer WordPress over other CMS Solutions? Ever since Content Management Systems became the most preferred way of developing and managing websites, there has been a raging debate on which CMS is best for SMBs. With the CMS ecosystem being crowded with dozens of options to choose from, pros and cons of each of the CMS solutions are being debated by the developers and the users. By far, WordPress has remained the most popular CMS for small and medium businesses. Before we delve on reasons behind WordPress development’s overwhelming popularity, it would be worth taking a look at a few stats. These stats speak the story of WordPress’ popularity and this isn’t surprising considering the following factors that push WordPress to the top of the table. While SMBs hire professionals for web development, they cannot afford a full-time technical expert to manage their website. If there is one reason to choose WordPress over all others it has to be ease of use. WordPress allows users to add, manage and remove content on their site without any knowledge of coding. The WYSIWYG (what you see is what you get) editors allow you to publish content and make changes to the design of the website from anywhere. WordPress development is modular in nature and this allows you to add features, sections and content to the site easily. This allows you to keep your website in sync with the changing trends in the market as well as the demands of your business. One of the biggest scoring points for WordPress is its huge repository of plugins. These plugins allow you to achieve desired functionality in your website without having to develop them from scratch. So whether it is social media integration or adding an analytics tool to the website, everything is just a few mouse clicks away. Bulk of your traffic comes from the search engines, hence it is important for your website to be SEO friendly. WordPress generates clean codes that attract the search engine crawlers and help your site gain higher rankings on the Search Engine Results Page. You also have the option of optimizing the keywords, Meta Data and description for improving your results. Most business website are managed and updated by multiple users, and with WordPress you will be able to manage permission levels for different users easily. Being a highly secured platform it thwarts any unauthorized access your site. All these make WordPress the first choice tool for SMBs. To draw maximum benefits out of your WordPress powered website you need to hire the services of a professional WordPress development company. At Semaphore Software we have worked on hundreds of WordPress projects in the past and can put you ahead of the competition. Get in touch with our team at info@semaphore-software.com and we shall give you the edge.